NEED PROFESSIONAL BED BUG CONTROL? Do you have Bed Bugs taking over your Room? Does the thought of having Bed Bugs fill you with dread? One of the first signs of bed bugs will likely be bites. These bites generally occur while the host or human is sleeping at night. Not all bites are felt immediately; some can take days to appear. The appearance is a large red, welt or raised area on the skin. It is similar to a mosquito bite. One bug generally bites in one location and then leaves the host. 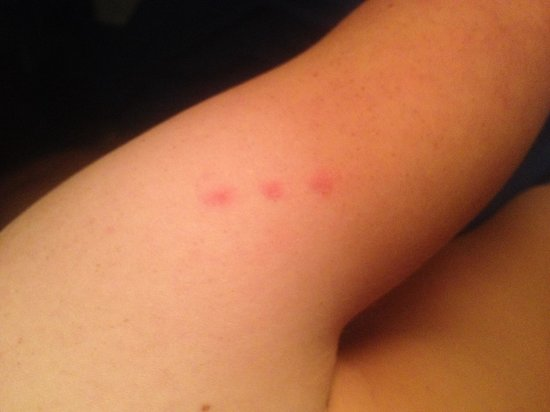 If they are disturbed in any way, one or two more welts may appear next to each other as they refuel on the blood. There is an intense itching involved with the bed bug bite. 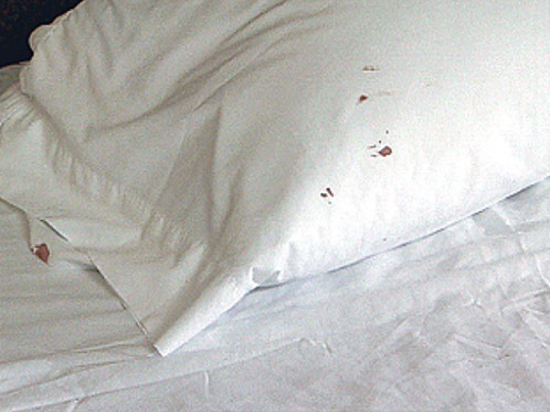 One way to recognize the early presence of bed bugs could be by the stains they leave behind--stains from blood and faeces. Stains from their excrement are a rusty colour that is difficult to remove from linens and bedding. Other things that the bugs may leave behind are dried-up shedding of their skin. This shedding may also include eggs, dead bugs or dried-up larvae. Shedding looks like little dried-out shells of the bug. These items may be found anywhere the bugs live and travel. Bed bugs are small and difficult for an untrained eye to identify. Most resemble an apple seed. They have an oval appearance and a flat body. They are slow movers, much like lice. They crawl rather than jump onto their hosts. 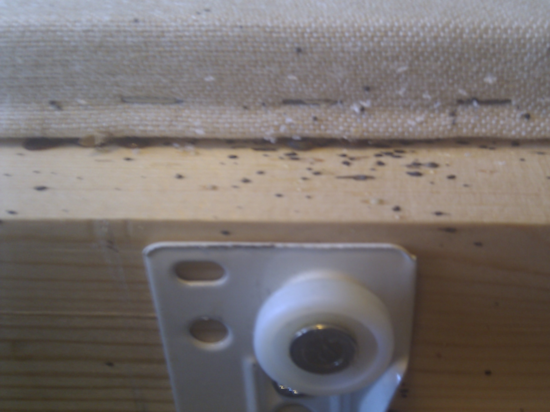 Most bed bugs that feed regularly off a host live around 9 months. In early infestations, there may be a small amount of bugs in the home. The female bed bugs can lay up to 5 eggs each day. These eggs are barely visible to the naked eye and are as long as a few grains of salt. The eggs take around 2 weeks to hatch. The nymphs start feeding immediately on hosts and are generally the beginning of a large-scale infestation if not treated properly. THERE ARE A NUMBER OF WAYS YOU CAN RID YOUR HOME OF BED BUGS FAST!